Our team of physicians, physician assistants and nurse practitioners focus on offering easy access to high quality, comprehensive medical care for patients of all ages. From infants and teens to adults and the elderly, we want to be your first point of contact with the healthcare system, giving you the information and available resources for ideal health results. You can rely on us to coordinate your care and guide you through the medical system. We work with each patient to create an individualized plan of healthcare. Need to be referred to a specialist? We’ll provide recommendations, work with you to find the right specialist and help coordinate your care with that care team. 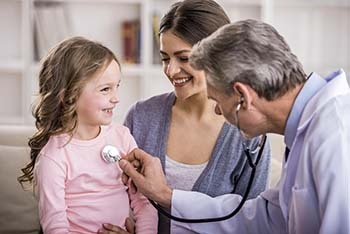 Our Primary Care centers are staffed with compassionate, dedicated, qualified professionals who are experienced in pediatrics and adult medicine. We also offer same-day appointments as well. Have questions? We’re more than happy to help. Contact our team directly and one of our team members will be glad to answer your questions and provide you additional information.